← Global Trade Rules & Courts Needed to Ensure Order in Increasingly Disorderly Global Relations. 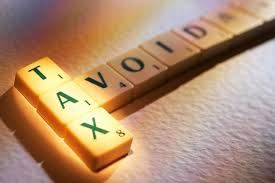 Corporate and International Taxation — Is Tax Avoidance Becoming the No. 1 Issue? Rampant tax avoidance by global banks and multinational corporations keep happening. Corporate taxation and specifically taxation of global transactions is now becoming the number one political issue in the United States this fall. It’s not just corporate inversions but a range of tax strategies and deductions that are being eyed by the general public and politicians as something that need to be addressed immediately. I agree. If the Congress doesn’t act the President should. I also agree. The Treasury Department has great responsibility in interpreting existing legislative enactments and issuing and revising its regulations. “The Tax Dodge Goes On.” New York Times (August 7, 2014). “Tax Trouble.” New York Times (August 7, 2014). This entry was posted in Global Trade Relations and tagged corporate inversions, executive action and taxation, global taxation, tax avoidance. Bookmark the permalink.